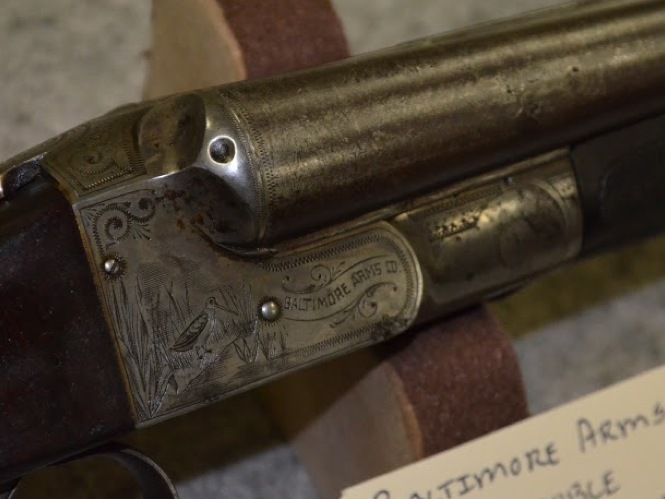 The Baltimore Arms Co. was one of America’s didn’t-make-it gunmakers. 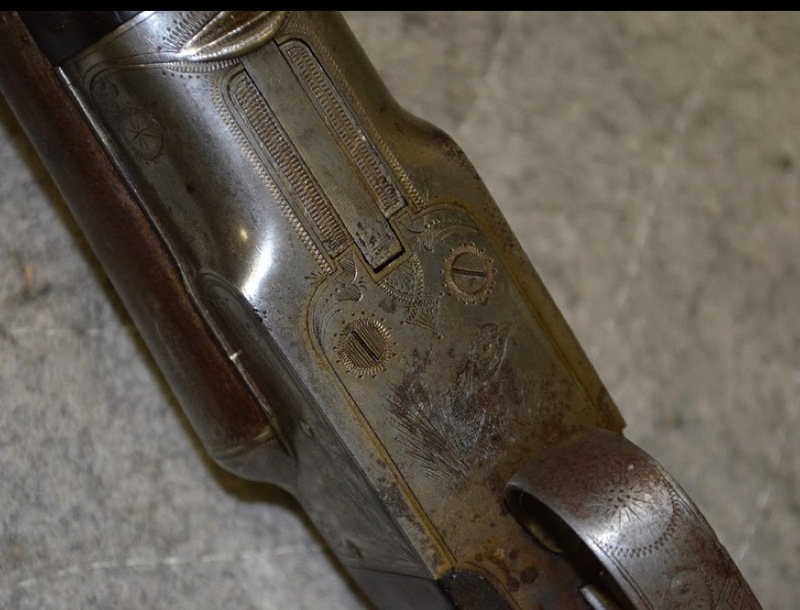 From 1900 to 1904, they manufactured side-by-side shotguns based on a patent designed by Frank Hollenbeck. 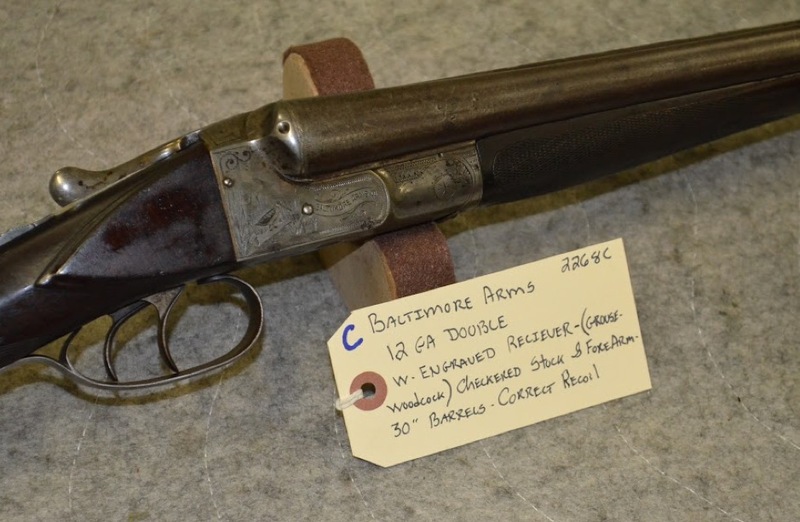 this Sunday, June 2, @ 8am, one of these shotguns is coming up at Redding Auction Service in Gettysburg, PA. 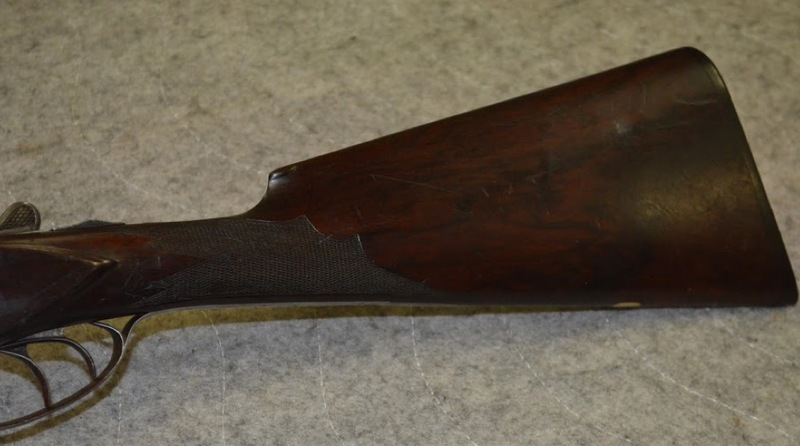 Lot 170 C: 12 gauge Baltimore Arms C-grade side-by-side shotgun: Double Barrel Shotgun (w/30” Barrels) w/Engraved Receiver (Grouse Woodcock) Checkered Stock & Forearm. Correct buttplate. Serial #2268C. 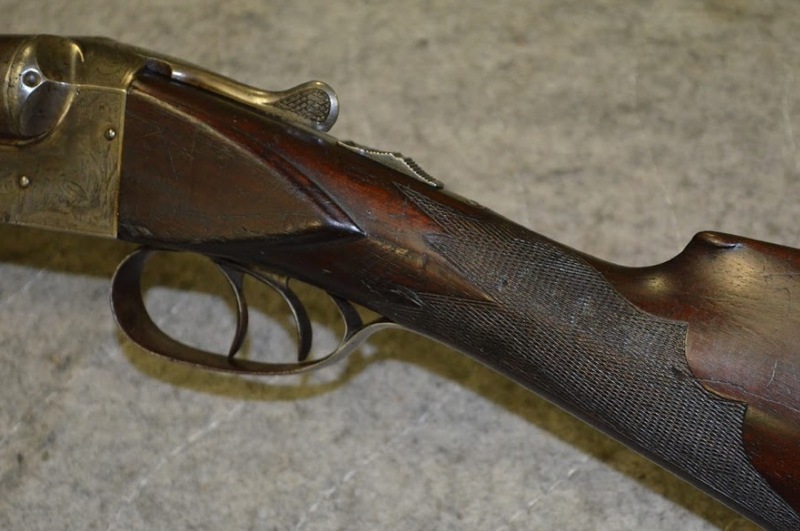 BTW: Don’t miss a gun you’ve always wanted. Eenter you email address in the box to the right and subscribe to Dogs & Doubles. Me likey. Sure would be cool to find something like this in 16ga. Me, too. The 16s were made on their own frames. One with a straight grip would be quite a find.